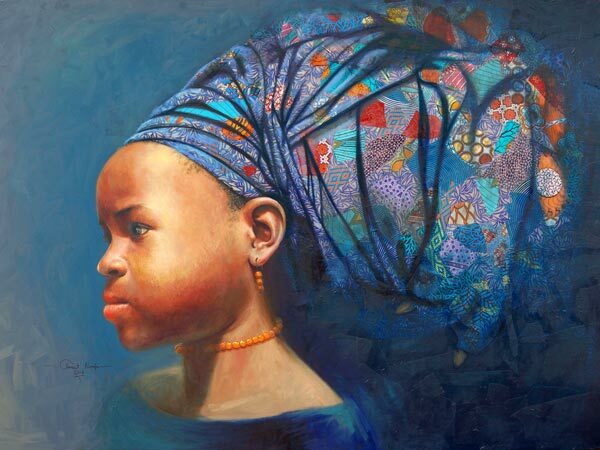 The determined face of the future: the African girl child. 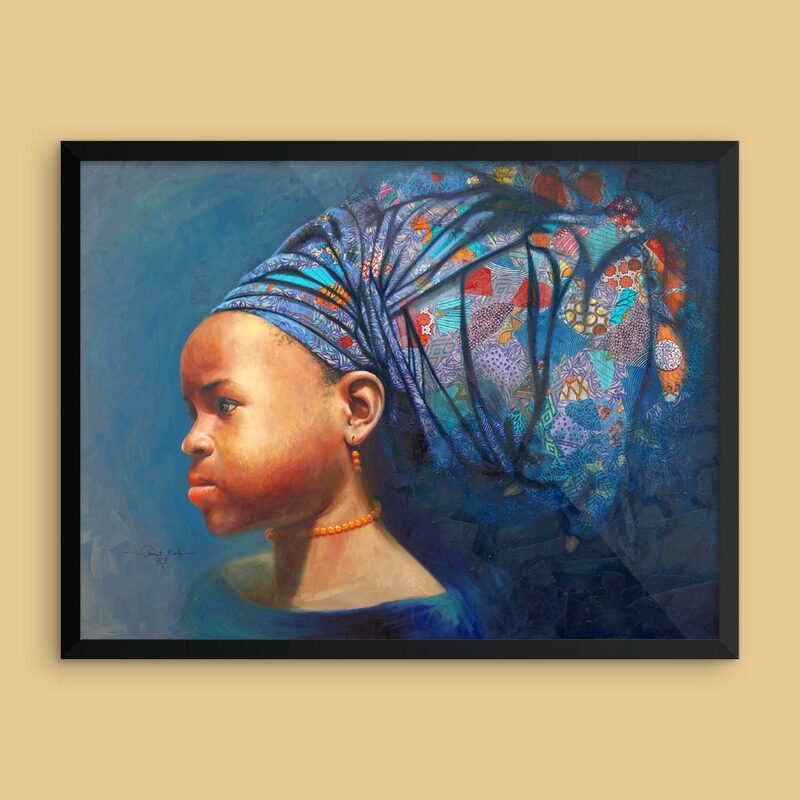 Colorful and charming art print of a young girl by Nigerian artist Clement Nwafor. 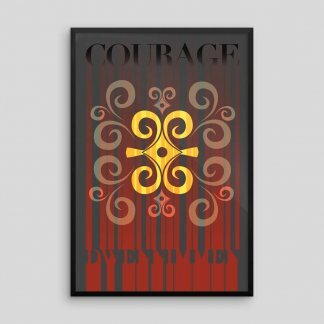 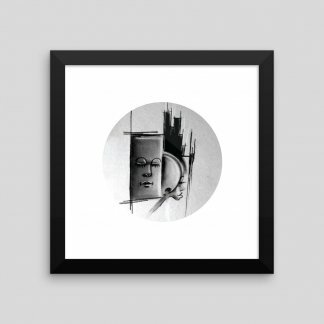 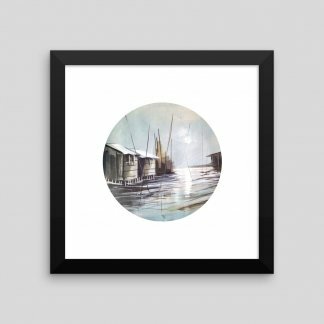 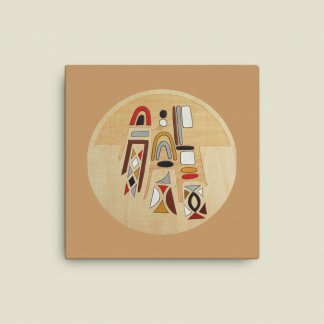 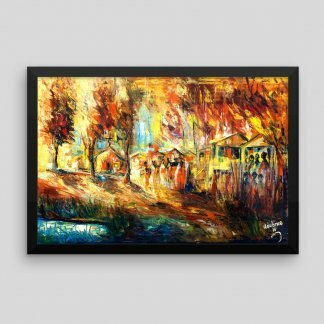 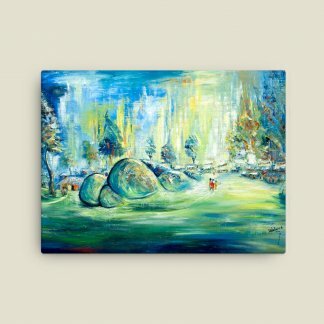 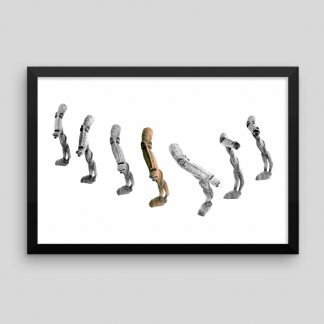 Colorful prints available as framed, stretched canvas or unframed. 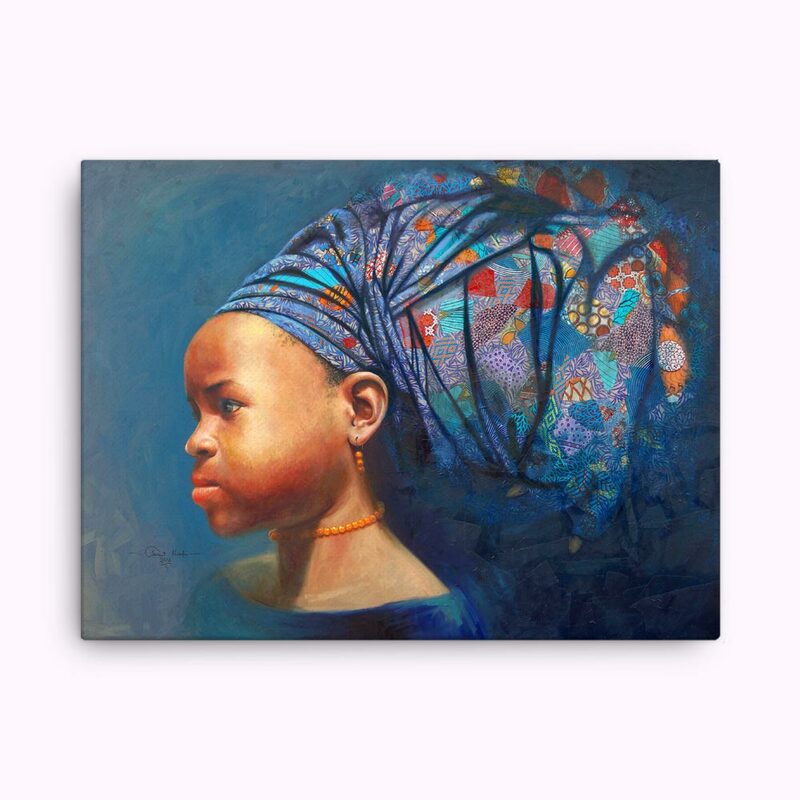 Mixed Media: oil on canvas, African fabric.